1. I'm actually posting on my blog! LOL - if that isn't exciting, I don't know what is. My Dad was visiting last week and that kind of threw me off schedule. I know you missed me (didn't you???) - sorry about that. 2. Notes to Aspiring Writers ~ Your Dream, God's Plan ebook is launching - today!!! So excited for my friend Brooke! You've got to stop by the site because the launch day giveaway package is huge and amazing and includes a Kindle! 3. My hubs has a birthday this weekend - so this is of course his birthday week! He seems to be under the impression that I should be doing fabulous things to celebrate each day (er, maybe because I insist on it during my bday week - heh). I pointed out that I had neatly folded some clean clothes for him, but that apparently lacked the "wow" factor he was looking for. :) Love you honey!! 4. Speaking of birthdays, my best blogging buddy Kim from Homesteader's Heart has a birthday this week! Happy Birthday my friend!! Be sure to stop by and tell her Hi and Happy Birthday! 5. I get to have a root canal this week! Oh, that's not exciting for you? Come to think of it, I'm not too excited about it either. 6. I have a cookbook review to post this week for you - interesting concept for a cookbook which is why I wanted to check it out. I'll have it posted in the next day or two. 7. 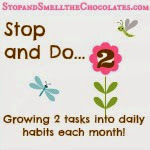 I'll have a post over at Pennies and Blessings this week - I'll let you know when it's up. Do stop over there and look around. There's so much good info from such friendly people - you'll enjoy it! 8. It's National Ice Cream Month. Yum. And Tina at Mom's Crazy Cooking has an ice cream linky party all this week! Go check out the ice cream links and add your own! And can I have a bite? I'm trying to avoid dessert this week. Sigh. That is n.o.t. exciting. 10. I'll be playing with my new smart phone. OK - I've had it for more than a week, but I'm still learning. So by using the smart phone, will I get smarter? Hmmm... And I've yet to find an app that will do my housework for me. What exciting things are happening for you this week? Do tell! You know what else is exciting? 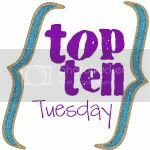 Hello - Top Ten Tuesday at Oh Amanda! Go check it out. * The word Exciting has a broad definition according to this writer. Not responsible for lack of excited feelings when reading above statements. Root canal, no fun. Sorry about that. 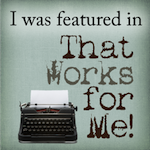 I am in the middle of my first blog series. It's actually a Bible book study. I am sort of liking the series thing and already know what I want to do next. I love my smart phone. I am rather attached. If you find an app that does housework, you MUST share the love ;) Sounds like a good week - except the whole root canal thing :S Looking forward to your blog series! Happy birthday hubs and Kim! :) Seems like you have lots going on! Have a great week! I like how you said you GET to have a root canal....instead of I HAVE to have a root canal. 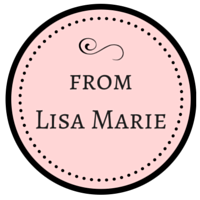 Kind of makes it sound like something that is a privilege.....great Top Ten List, Lisa! I love the idea of a birthday week!! Sorry about the root canal, been there, done that. And must check out the ice cream. We do love ice cream here, have it every day! Oh and sorry to hear about your root canal :( I don't think anyone would enjoy that! Your hubby has a birthday in the best month EVER! LOL! I am so cringing at the thought of a root canal. I really really really REALLY feel sorry for you. Really! Big none of your friends have come over and wished me a happy b-day cause their to busy visualizing a root canal size hugs to you!